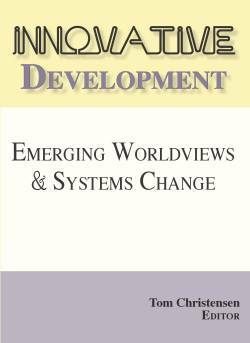 The complexifying world places contemporary leaders for major challenges in leading organizations. The progressive complexity of the organizational and social context often surfaces as paradox. Surprisingly, paradoxes are hardly addressed in leadership epistemology, or in leadership development models. Contrarily, management and organizational science scholars have embraced the necessity to engage paradox in the workplace. The negation of paradoxes in most leadership theories stems from the axiology of positivism in which most traditional leadership theories are grounded. The theory of transformative leadership was one of the first epistemologies that recognized the existence of paradoxes in leadership practice. More specifically, transformative leadership addressed the leadership–follower paradox. Complexity theory as Edgar Morin has described offers a promising epistemic framework for the interpretation of paradoxes in concord with leadership development. Complexity-based leadership epistemology not only acknowledges paradoxes, but also interprets them as powerful sources of leadership transformation. A pivotal lesson that springs from complexity theory and the paradoxical nature of leadership is that leadership development is an integral and emerging process that spans the conscious and subconscious part of the human faculty. It calls for a multi-level understanding of the relations within and between the individual, the organization, and society at large. The word paradox is derived from the Greek word “παράδοξο”, which literally means contrary to expectations, existing belief, or perceived opinion. Paradoxes have always been an integral part of the human existence. Humans juggle on a daily basis with paradoxes. To give some widely known examples of paradoxes: “The more we learn, the more we realize how little we know”, “The harder we push to achieve something, the harder it feels to make it happen”, and “The more we reject a behavioral trait of someone, the more likely we are to deny this trait in ourselves”. The last paradox led the psychologist Carl Jung to conclude that the allergy of behavioral traits of others is merely a reflection of parts of ourselves (Robertson, 2011). All of the examples elucidate the powerful nature of paradoxes humans can encounter. Many of the more important features of human behavior seem to embody contradictions on the surface level, but are in fact paradoxes. If one digs deeper these paradoxes represent life-defining truths. Although we probably are not always aware of it, paradoxes color life, because they are the ultimate expression of the non-binary nature of human existence, of its complexity, learning potential, and its intricacies. Paradoxes have been a source of inspiration for the human faculty, particularly for artists. Our great novelists embrace paradox with zeal and candor. They are famous for the use of paradoxes as a method of literary composition, and as an instrument of analysis to explore the situational complications of apparently contradictory statements. To name a few: “War is peace, freedom is slavery, and ignorance is strength” (George Orwell), and “I must be cruel to be kind” (William Shakespeare). Paradoxes are included in their work to either reconcile or to explain the presence of an apparent contradiction as a mirror for the reader’s own socio-psychological complexity. In the world of science, paradoxes have always played an important role: from Zeno’s paradoxes in Ancient Greek to the non-binary “middle-way logic” of Chinese and Japanese Buddhism (Rohmann, 1999). One of the well-known contemporary examples of paradoxes in the natural science – to exemplify some of the seemingly impossible conundrums stemming from Quantum Physics – is Schrödinger’s Cat Paradox: A cat is in a box with a small amount of radioactive substance that could kill it. The cat could be either alive or dead while the box is closed; until someone opens the box to check, the cat exists in both states. Schrodinger’s cat is not just a cat, but a cat who lives in the quantum world; a world where all possibilities – even mutually contradictory ones – coexist and have their own appearances (Marshall & Zohar, 1997). Paradox is not only integrated in the epistemology of the humanities and of the natural science, but also in the epistemology of the social science. In the social science the concept of paradox can be defined as “contradictory yet interrelated elements – elements that seem logical in isolation but absurd and irrational when appearing simultaneously” (Lewis in Guilmot & Ehnert, 2015, p. 2). Not all social sciences were early adaptors of the epistemological merits of paradox. Management and organizational sciences for example have been at odds with paradoxes for a long time. Due to its reductionist positivist’s ontology, there was less space for ambiguity. Much of the leadership discourse is still antithetic to paradox. In management and organizational science the concept of paradox was acknowledged in the mid 1980s to develop a better understanding of organizational behavior in situations of increased competitions, complexity, and change. Kim. S. Cameron (1986) was one of the first to point to the essence of paradox as a transformative force in organizations in her study of organizational effectiveness. She concluded that the most effective organizations proved to be the one’s “characterized by paradoxes – i.e. contradictions, simultaneous opposites, and incompatibilities” (p. 539). In Cameron’s view the presence of creative tension stems from the paradoxical features of organizations. It is this tension, if nurtured by the management, which can foster organizational effectiveness. The opposite of nurturing creative tension in an organization is what Bateson calls “schismogenesis”: the process of self-reinforcement of one or both of the opposites, where its actions become excessive and finally dysfunctional and destructive (Cameron, 1986). Most readers are familiar with examples of authoritarian managers whose management style de-energizes their teams, and know examples of the high-performing teams that flourish under supportive management. Bad leadership showcases a leadership’s presence with a tendency to indulge in schismogenesis, and has become a serious topic in the leadership discourse (Schyns & Schilling, 2013). Paradox in leadership and leadership development has largely been ignored in leadership discourse, especially within traditional leadership theories, such as the traits, skills and styles approach (Northhouse, 2013). This stance is mirrored in present leadership behavior. Particularly in the Western world, a leader is often supposed to exude certainty and is expected to lead followers out of the discomfort, paradoxes, and ambiguities of organizational life. But this perspective contradicts the leadership experience. People in leadership positions are, on a daily basis, confronted with the paradoxes of leadership and frequently ask themselves: How do I cope with paradoxical situations in my private life, in dealing with my employees, and in my business relations? Being sure about oneself and one’s course of action, while also being humble and doubtful (Evans, 2000; Geerlof, 2014)). These examples of paradox undergird that there are no simple answers to the many challenges that leaders have to face. An overarching paradox of daily leadership practice is what I define as the grounded–detachment paradox. The grounded–detachment paradox refers to leadership that is on the one hand grounded in reality—and thus has the capacity to connect, engage, trust, and deal with uncertainty, headwind, and unpredictability—and is on the other hand detached, meaning not devoted to worldly possessions, status, relationships, security, and/or a pre-described outcome. Tellingly, the life-stories of leaders described in the literature portray a number of leadership qualities that are of vital importance if leaders are to cope with grounded–detachment and other paradoxes; characteristics such as personal stability, self-directedness towards personal wholeness, self-relevant meaning-making during crucial life-experiences, learning by doing on an individual and organizational level, and the capacity for sense-building (Brundtland, 2002; Clark, 2013; de Blot, 2007; Gaulthier, 2014; Gergen, 2000; Greenstein, 2009; Laloux, 2014;Ngunjiri, 2010; Schamir & Eilam, 2005). In general, leaders will never overcome paradox completely, as the emergence of new paradoxes is contextual. Furthermore, paradoxes are expressed in a myriad of ways, which points to the fact that paradox is a social construct that has a different meaning depending on the timeframe, situation, and culture (Ospina & Sorensen, 2006). For instance, the paradoxes faced by a Chinese factory manager in the countryside of the province of Yunnan will most likely not represent the paradoxes I have encountered in leading ardent, highly educated Dutch people, who in the city of The Hague come from a variety of religious and cultural backgrounds. For instance, the paradox of individualism versus collectivism, which is present in every organizational setting, will play out differently in a Chinese organizational culture, with its heritage in Confucian collectivism, compared to the organizational culture of The Netherlands, with its roots in Protestantism, individualism, and fallibilism (Geerlof, 2011; Loy, 2002; Min, 1995). Most older leadership theories do not include the concept of paradox in their epistemic framework, or they treat it as an outlier. Consequentially, the more traditional leadership’s approaches portray leadership action and leadership development as a rationalized, cognitive process (Kets de Vries, 2009; Northouse, 2013; Wheatley, 2006). The fundamental principle of this model is that leaders lead and followers follow. The leadership strategy is here grafted on the premise of a leader’s attributes and her or his follower’s response to it. This leadership approach is guided by preconceptions, such as the focus on the individual leader and an emphasis on dyadic processes, which can be traced back to the fact that traditional theories are modeled after the concept of the straight white male Western leader (Ngunjiri, 2010; Northouse, 2013; Yukl, 2010). Often, the leadership style in these older leadership theories is transactional: the leader motivates followers by appealing to their self-interests, and by exchange of benefits. Furthermore, traditional views on leadership are almost all founded on the belief that the future can be predicted and the present can be controlled, ensuring a desired future outcome (Plowman et al., 2007). This leadership paradigm is still widely popular among many leaders. It manifests itself in a style that requires a certain level of psychological pressure and in a culture of conformity that ensures the effectivity of the organization. Such a leadership style involves making followers do what the leaders think must be done, selecting staff members who can be easily replaced by others if these individuals show more willingness and an ability to fulfill job requirements (Geerlof, 2014). This view is a product of the industrial era and the modernist approach to management, first introduced by Frederick Taylor (1911), in which people were defined as a means of production and were put on par with raw materials and capital. Many present-day leaders have adopted a transactional style of leadership and are convinced that the conduct of their employees must remain within strict margins in order to safeguard organizational continuity (Ganzevoort, 2003). These theories are mostly grounded in the axiology of positivism. The major pitfalls of the post-positivist paradigm are reductionism, objectivism, and dualism, and their approximation of reality as a logical process available to falsifiable hypotheses (Guba, Lincoln, & Lynham, 2011; Segers, 1977; Swanborn, 1981). In general, scientists who are trained in the Cartesian–Newtonian paradigm of positivism have tried to dissect the human experience into categories and think of their propensities in terms of either/or types. Complexity theorists refer to this kind of logic as disjunctive thinking, which is rooted in Aristotelian logic (Morin, 2015; Nicolescu, 2010). In this mode of thinking, a state of affairs is either A or B, and cannot be A and B. This binary logic is not only challenged by the epistemology of complexity theory, but also by the ontology of quantum physics, and the axiology of the participatory paradigm. Quantum physics proved that particles can be located, at the subatomic level, in two or more locations simultaneously. This modern physics demonstrated that subatomic particles communicate with each other and interact immediately, without time delay, over any distance in space (Bohm, 1980). Depending on the perspective of the observer, one and the same object can be observed both as a particle located in a specific place and as a wave traveling through space and time. The participatory worldview has an emphasis on the person as an embodied experiencing subject among other subjects and accentuates the integration of acting and knowing (Heron, 1992). Such perspectives allow multiple realities to emerge and co-exist (Bohm, 1980, Montuori, 2013; Morin, 2014, 2015). Paradoxes are an expression of these ontologies. Complexity theory not only acknowledges the existence of paradoxes but also embraces them as key elements of evolutionary processes and as emergent properties of ecological and organizational systems (Bateson, 2002; Montuori, 2013, 2014; Morin, 2008, 2014, 2015). Within the framework of complexity theory, paradoxes are redefined beyond the classical idea of disjunction, where paradoxes represent two opposing views that must be overcome, to conjunction, a hidden force of transformation and learning (Morin, 2008; Nicolescu, 2010). Morin (2008, 2014, 2015) is one of the architects of complex thinking. He presents complexity as a reflexive dimension. Morin moves away in his epistemology from the linear, deterministic, and reductionist explanations of the past, present, and future of our society and of the development of organizations. One of Morin’s (2015) central criticisms of traditional thinking, or what he calls simple thought, is the idea that individuals and organizations are fundamentally closed systems. This approach was omnipresent in social science and management science over the last decades. As an alternative to a closed system, the concept of open systems was suggested. However, Morin also questioned the nature of open systems. He came to the conclusion that closed and open are relative terms that are not antagonistic to one another (Morin, 2014). For example, no living system is totally open or completely closed, but is rather open and closed at the same time. Tellingly, this paradox—introduced by complex thinking in systems theory—is a crucial element in the emergent properties of living systems. As Bateson (2002) suggested, for living systems to evolve they need to be open and closed at the same time to allow systems to adapt to changes in context and to influence that context through complex feedback loops in order to maintain homeostasis. This paradox in the physical world is also a paradox of the separability that goes with inseparability, which is comparable to the wave–particle paradox of microphysics (Bohm, 1980). Modern physics has accepted that these paradoxes are an essential aspect of atomic physics and the physical evolution of the universe (Wheatley, 2006). The evolutionary principle of mutual existence of openness–closeness has not only ecological validity—for plants, animal, humans, ecosystems, and so on—but also for organizations and societies at large. Organizations are open to people, knowledge, and information, but are also to an extent closed systems. For example, almost every organization has private office spaces, possesses internal organizational information circuits, and includes semi-closed networks. When we find ourselves in the presence of a paradox, Morin’s complex thinking points to the fact that leaders have reached a deeper layer of reality. Complex thinking invites to question the hidden theories most leaders have. It also encourages leaders to open an internal dialogue with their subconscious and to start communicating with the reality beyond verbal language. Verbal language is by definition a limited form of communication, and a highly constructed one at that. Non-verbal languages, such as the language of the body, provide an opportunity to feel and express meaning-making in a different, less constructed way (Leavy, 2015). Complex thinking allows leaders to accept paradoxes and to include the simple and complex, order and disorder, and the visible and invisible. It opens leaders up to the unknown, the cosmic, and the spiritual dimension of life and of evolution itself. Complex thinking calls for a development of the capacity of leaders to contextualize information and to integrate it in a whole that makes sense (Morin, 2015). Complexity theory, as Edgar Morin (2014, 2015) describes, holds promise for the field of leadership research and leadership development because it stands as a bold challenge to the reductionist and simplifying spirit that in the past bespoke the epistemology of the social sciences in general and the epistemology of leadership more specifically. Morin’s epistemology of complexity is better equipped to understand how emergent processes can facilitate adaptation to turbulent environments, by individuals and organizations in general and by leaders more specifically (Montuori, 2014; Morin, 2008, 2014, 2015). The paradoxical nature of leadership has not been ignored completely in the leadership discourse. For example, it has attracted serious attention in recent times, especially in research on transformative leadership (Burns, 2003; Pearson, 2012), the concept of transformative leadership that was initially coined by James V. Downton (1973). One of the most prominent leadership paradoxes, which is well-documented in leadership studies, is the leader–follower paradox. Older, more traditional leadership theories, such as the traits, skills, and styles approach, disregard this paradox. The question of where leadership begins and followership ends has no simple answers, but is impregnated with the characteristics of paradox. James M. G. Burns (2003) enhanced the concept of transformative leadership by addressing the leadership–follower paradox and investigated the intricacies of the leader–follower interaction. His theoretical approach is an alternative to transactional leadership theories and shows the multidimensionality of relations between followers and leaders. Burns declared that the leader–follower dichotomy was too simplistic and argued that followers can lead under specific circumstances, while leaders can follow, as he exemplified through the life stories of several leaders described in his seminal book The Transforming Leader. Although not recognized in several leadership theories, the ability to change roles among leaders and followers is pretty common in contemporary businesses, especially in project-oriented organizations where project managers who have an integral management responsibility perform important leadership functions. In project-oriented organizations, management and leaders participate in projects as one of the team members, as one of the employees—the responsible project manager. But this turnaround of responsibilities, as it would be viewed from the perspective of traditionally hierarchical organizations, creates its own complexities. The leader is not in charge of the project, but is just another team member in a collaborative endeavor and he or she has to adhere to the decisions of the project manager. However, as a leader, she or he remains responsible for the overall performance of all projects and project managers within a traditional, linear, and hierarchical power structure. This puts the leader in a paradoxical position towards employees in general and towards project managers in particular. The turnaround of responsibilities raises the questions of what accountability and responsibility should look like in a co-creative environment in general and if co-creative environments can emerge within traditional hierarchical organizational structures. The paradoxes of leadership and followership are a challenge for many leaders and followers. Instead of perceiving paradoxes as a problem, the experiential knowledge of leaders reveals that, within a positive organizational culture, paradoxes provide the ultimate opportunity to learn. The paradoxes leaders face within an organizational setting invite leaders to find ways to deal with the tension of opposites. By their very nature, paradoxes surface continually. Paradoxes often manifest when elements of our feelings, conducts, and deliberations, which seemed logical when viewed in a relative isolation, appear mutually exclusive when perceived alongside one another in a broader context and when expressed linguistically. Paradoxes challenge the social construction of organizational life, the “natural” order of organizations, and are an opportunity to make manifest the implicit beliefs we all hold, as leaders and followers, and of how we should think, act, behave, and articulate ourselves in our verbal and bodily language in specific contexts (Kenney, Blascovich, & Shaver, 1994). Paradox invites leaders to not fall into the trap of either/or choices, but to accept the presence of the transformative value of apparent contradictions (Cameron, 1986). Paradoxes encourage leaders and followers to tap into their creative potential and invite leaders to search for new answers. As Burns (2003) argued, the leadership–follower paradox can be transformed into a generative force for organizational change and leadership innovation. Instead of identifying individual actors simply as leaders or followers, the whole process is perceived as a system in which the function of leadership is more like a theatre, with leadership at center stage, and with the actors moving in and out of leader and follower roles, depending on the situational requirements. Many transformative leadership practices undergird the value of leaders who learned to embrace the transformative power of paradox, such as Bishop Walker from the Diocese of Manchester. The Bishop runs his Diocese as an enabler, who lets different groups find their own solutions and ways of acting and knowing. Echoing the Bischop, “My role as senior Bishop in the Diocese of Manchester is not to run the system smoothly but to disturb it and help it find a new and different equilibrium, before repeating the exercise” (Raiso & Lundström, 2015, p.4). In this setting, leaders and followers can embrace the complexity of every situation and can value its productive force, instead of reducing it to a problem-solving act of finding the right answers and imposing them on others (Geerlof & Van Beckhoven, 2016). Leaders and followers can co-create an organization that becomes a generative, participative space in which all participants seek to uncover the process of leadership and followership through a constant process of dialogue and questioning, rather than through finding “correct” answers. For too long, leadership epistemology and leadership development have been based on the idea that people are born leaders who only need to develop their latent leadership qualities. But leaders have no special pedigree at all; they are just ordinary humans. Few people are born leaders. And leadership is not limited to a specific role, or an ethnicity, gender, professional field, or organizational context. Research indicates that adults will only develop characteristics of effective leadership if they want to be a leader (Boyatzis, 2008). But leadership cannot be taught; it can only be learned and is not necessarily within the reach of everyone. However, leadership skills can be learned just like the skills required to walk, talk, write, play sports, cook, and make music. Some talent is helpful for leadership development, but perseverance comes first. Passion and perseverance are the foremost conditions for leadership development (Geerlof, 2014). The leadership experience reveals that many people were simply put into a leadership position, and being a leader is often simply a phase in people’s careers. Many people acquire a leadership position when a career opportunity emerges, not because they have a degree in leadership. For many people who are appointed to a leadership position, training unfolds largely as a process of learning by doing. On average, it takes leaders many years to acquire the skills required of leadership—including skills related to finance, human resource management, communication, strategy development, acquisition, ICT, and teambuilding—which allow leaders to meet the organization’s needs. However, for many leaders, the most difficult aspect of leadership is not acquiring these aforementioned skills, but of how to balance the paradoxical nature of being a leader. Leadership is a unique process of growth and relies profoundly on creative capacities of people and organizations and their mutual interactions (Glăveanu, 2014; Montuori, 2014). Mere order and stability do not stage an environment for the emergence of effective leadership; the systemic interaction with disorder and instability does. Life is a process, a process of becoming a better person and of generating a better world (Wheatley, 2006). What holds for life in general also holds for leaders and leadership development. Leadership emerges through a process of personal and professional growth that is nurtured by unforeseeable and surprising events, and the developmental process has holistic and systemic properties that are encumbered by paradoxes (Montuori, 2010; Volckmann, 2014). The context and its ecology are essential to this process. The perspective of leadership as an emerging process conflicts with the prevailing paradigm in mainstream organizational leadership development theory and leadership development practice, in which leadership development is too often presented as a six-step developmental model (Benton, 2003). A dissection of leadership development into a linear, predictable stage-like model is a simplification of reality that conflicts with the basic parameters of complex thinking. As complexity theory informs us, one cannot rely on changing just a single element of a system or on a step-by-step process of transformation. All the unchanged elements and processes within and outside the system will respond to change in unpredictable ways and the changed element and/or process may realign itself with the rest of the (unchanged) system, or it might trigger an unexpected effect resulting in paralysis or chaos (Ogilvy, 2011, 2013). This phenomenon explains why transformation on a personal, organizational, and societal level is an inherently difficult and unpredictable process, enhanced by the many paradoxes that can surface in situations of change. The theory of complexity perceives paradox as a key characteristic of life. Paradoxes provide the perfect platform for personal growth and transformative learning (Morin, 2015). Complexity theory defines transformation as an integral process, which has its bearing on personal transformation, organizational change, and societal development. It calls for multi-level awareness and an understanding of the intricate relations within and between levels of the individual, organizations, and society at large (Boyatzis, 2008). In some contemporary models of leadership development, three interconnected levels for development are distinguished: (a) the public–outer level, (b) the behavioral level, and (c) the inner level (Clawson, 2012; Scouller, 2011). In general, the first two levels are outer or cognitive–behavioral levels. The third level is the inner level and concerns a person’s leadership presence, including that person’s know-how, beliefs, emotions, and subconscious habits. Leadership development should focus on all three levels simultaneously. 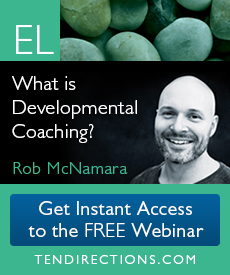 In other words, development should focus on the individual in his or her specific context. “At its heart lies the leader’s self-awareness, his progress towards self-mastery and technical competence, and his sense of connection with the world and the people around him. The source of a leader’s outer leadership effectiveness is this inner core” (Scouller, 2011, p. 37). From the perspective of complexity theory, paradoxes can provide a prism that help leaders move away from the “either/or” dichotomy of traditional ways of thinking. When the angle of the prism is changed, the light projects a different reality. As a consequence, thoughts, behavior, and actions, which once seemed logical, can become juxtaposed and can appear mutually exclusive. However, the light has not changed, the perspective and the context have. A crucial element of leadership development involves learning how to juggle the paradoxical, contextual characteristics of organizational and personal life. In the continuous dialogue between mind, soul, and environment, the complexity of life emerges and paradoxes surface as an opportunity to learn and grow as a person and as a leader. The groundedness–detachment paradox is an overarching metaphor for the journey of leaders that is encumbered by the duality of everyday human life on different levels—individual, organizational, national, and within evolving contexts. In this evolutionary journey, leaders are invited to embrace seeming juxtaposition as an opportunity to come closer to the absolute and undifferentiated unity, which all spiritual traditions have described in different ways. Cosmologically, this unity prohibits any ultimate distinction between the human, nature, and the divine, and epistemologically it precludes the distinction between the knower and the known, and between the observer and the observed (Bohm, 1983; Schuon, 1984). The attempts to define leadership within a robust epistemic framework, and within a concise leadership development model, should allow leadership to remain the paradox it is supposed to be. 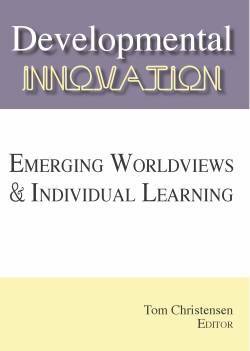 The paradox of leadership is best captured as poetry, the art of creating and the desire for learning (Gauthier, 2014), which implies that this specific nature of leadership should be integrated into future leadership development theories. Complexity theory offers a powerful framework for the emergence of a novel epistemology of leadership and for leadership development models that embrace the ambiguity of life and the transformative potential of paradoxes. Although complexity and leadership is currently not a broad field of inquiry, the contextual, complex, systems perspective of leadership is gaining ground in leadership discourse (Dinh et al., 2014). Over the last 15 years, a growing number of scholars and practitioners—including Boyatzis (2008), Clarke (2013), Marion and Uhl-Bien (2001), Montuori (2010), Raiso & Lundström (2015), and Volckmann (2014)—have explored how complexity theory can offer new windows for leadership inquiry, and for the creation of a novel leadership development model. A general conclusion that stems from complexity theory, and is in concord with leadership development, is that leadership theory must become more holistic and transdisciplinary, and it must focus on more process-oriented and relational ways of thinking (Marion & Uhl-Bien, 2001; Montuori, 2010). Empirical data support the emanation of a different view of effective leadership within complex environments (Clawson, 2012; Montuori, 2010; Marion, & Uhl-Bien, 2001; Scouller, 2011; Volckmann, 2014). These data provide a fertile ground for further research. Complexity theory offers a commanding framework for the emergence of a novel epistemology of leadership and for leadership development models that embrace the ambiguity of life and the transformative potential of paradoxes. Morin’s (2014, 2015) understanding of complex thinking offers relevant frames of interpretation of contemporary organizational and leadership development that can facilitate public and business leaders to learn to adapt to turbulent environments. Within Morin’s framework of complex thinking, paradoxes are redefined beyond the classical idea of disjunction, where paradoxes represent two opposing views that must be overcome, to conjunction, as a hidden force of transformation and learning. Future leadership should be based on the acknowledgment of paradoxes can only unfold as a form of labor, as an life-long and emerging process of transformative learning, rather than in terms of achievements (Fernandes, 2003). Consequently, leadership development implies going through a process of self-inquiry, and a willingness to accept the necessity of deconstructing those aspects of the mind that require reconstruction. The process of leadership development must rely on the self-relevant meanings that leaders connect to their life experiences—worldly and otherworldly—and to the living experiences that emerge in their relational circles, such as in their family, community, and the social group with whom they chose to identify. Such relational development will prepare leaders to embrace the complexity of life in general, and it will prepare leaders to lead effectively in a complex environment, amid the multitude of paradoxes that life presents as an opportunity to learn and grow. Leaders should not only embrace paradoxes, but society, as a whole should also acknowledge paradoxes and their systemic and transformative power. Bateson, G. (2002). Mind and nature: A necessary unity. Cresskill, NJ: Hampton Press. Benton, D. A. (2003). Executive charisma: Six steps to mastering the art of leadership. New York, NY: McGraw-Hill Trade. Bohm, D. (1983). Wholeness and the implicate order. London, England: Routledge. Boyatzis, R. E. (2008). Leadership development from a complexity perspective. Consulting Psychology Journal: Practice and Research, 60(4), 298–313. Brundtland, G. H. (2002). Madam Prime Minister: A life in power and politics. New York, NJ: Farrar, Straus and Giroux. Burns, J. M. (2003). Transforming leadership. New York, NY: Atlantic Monthly Press. Cameron, K, (1986), Effectiveness as Paradox: Consensus and Conflict in Conceptions of Organizational Effectiveness. Management Science, 32, 539-553. Clark, N. (2013). Model of complexity leadership development. Human Resource Development International, 16(2), 135–150. Clawson, G. C. (2012). Level three leadership: Getting below the surface. New York, NY: Pearson Education. de Blot, P. D. (2007). Spiritualiteit & leiderschap. Als macht niet meer werkt en innerlijke kracht de oplossing is [Spirituality and leadership: Inner knowing as the ultimate solution when the exertion of power does not work anymore]. Eemnes, The Netherlands: Uitgeverij Nieuwe Dimensie. Downton, J. V. (1973). Rebel leadership: Commitment and charisma in the revolutionary process. New York, NY: Free Press. Evans, P. A. L. (2000). The dualistic leader: Thriving on paradox. In S. Chowdhury (Ed.). Management21c (pp. 66–82). London, United Kingdom: F T Prentice Hall. Fernandes, L. (2003). Transforming feminist practice. San Francisco, CA: Aunt Lute Books. Gauthier, V. (2014). Leading with sense. The intuitive power of savoir-relier. Stanford, CA: Stanford Business Books. Ganzevoort, J. W. (2003). Spiritualiteit in leiderschap [Spirituality in leadership]. Nijmegen, The Netherlands: Valkhofpers. Geerlof, J. (2011). The 60 procent maatschappij – einde aan de talentverspilling [The 60 percent society – Ending the waste of talent]. Amsterdam, The Netherlands: Thouris. Geerlof, J. (2014). The awakening of the soulful leaders. Bodegraven, The Netherlands: Kalistratous Publishers. Geerlof, J., & van Beckhoven, A. (2016). Complexity, self-organization and leadership: Enlivened experiences from the Netherlands. 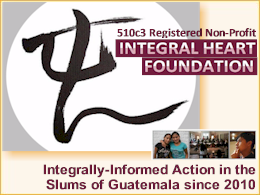 Integral Leadership Review, 4/28. Gergen, D. Eyewitness to power: the essence of leadership Nixon to Clinton. New York, NJ: Simon & Schuster Paperbacks. Greenstein. F.I. (2009). The presidential difference: Leadership style from FDR to Barack Obama. Princeton, NY: Princeton University Press. Glăveanu, V. (2014). Theory and context/theory in context: Towards an expanded view of the creativity field. Creativity: Theories – Research – Application, 1(2), 268–280. Guba, E. G., Lincoln, Y. S., & Lynham, S. A. (2011). Paradigmatic controversies, contradictions, and emerging influences, revisited. In N. K. Denzin & Y. S. Lincoln (Eds. ), Handbook of qualitative research (pp. 97–128). Thousand Oaks, CA: Sage. Guilmot, N., & Ehnert, I. (2015). 27 Years of research on organizational paradox and coping strategies: A review. Retrieved from: http://www.strategie-aims.com/events/conferences/25-xxiveme-conference-de-l-aims/communications/3387-27-years-of-research-on-organizational-paradox-and-coping-strategies-a-review/download (Date accessed: June 30, 2017). Heron, J. (1992). Feeling and personhood: Psychology in another key. London, England: Sage Publications. Kenney, R. A., Blascovich, J., & Shaver, P. R. (1994). Implicit leadership theories: Prototypes for new leaders. Basic and Applied Social Psychology, 15(4), 409–437. Kets de Vries, M. (2009). Reflections on characters and leadership. London, England: John Wiley & Sons. Leavy, P. (2009). Methods meets art: Arts-based research and practice. New York, NY: Guildford Press. Marion, R., & Uhl-Bien, M. (2001). Leaders in complex organizations. The Leadership Quarterly, 12(4), 389–418. Min, J. (Ed). (1995). The chalice and the blade in Chinese culture: Gender relations and social models. Beijing, China: China Social Sciences Publication House. Montuori, A. (2010). Transformative leadership for the 21st century: Reflection on the design of a graduate leadership curriculum. Revision a Journal of Consciousness and Transformation, 30(3), 4–14. Montuori, A. (2011). Beyond postnormal times: The future of creativity and the creativity of the future. The Journal of Policy, Planning, and Future Studies, 43(2), 221–227. Montuori, A. (2013). Complexity and transdisciplinarity: Reflections on theory and practice. World Futures, 69, 200–230. Morin, E. (2008). On complexity. Cresskill, NJ: Hampton Press Inc.
Morin, E. (2014). Complex thinking for a complex world—About reductionism, disjunction, and systemism. Systema, 2(1), 14–44. Morin, E. (2015). L´aventure de la methode. Paris, France: Editions du Seuil. Ngunjiri, F. W. (2010). Women’s spiritual leadership in Africa: Tempered radicals and critical servant leaders. New York, NJ: Sunny Pres. Nicolescu, B. (2010). Methodology of transdisciplinarity—Levels of reality, logic of the included middle, and complexity. Transdisciplinary Journal of Engineering & Science, 1(1), 19–38. Ogilvy, J. (2011). Facing the fold: From the eclipse of utopia to the restorations of hope. Foresight, 13(4), 7–23. Ogilvy, J. (2013). System theory, arrogant and humble. World Futures, 69(4–6), 332–344. Ospina, S., & Sorensen, G. L. J. (2006). A constructionist lens on leadership: Charting new territory. In G. R. Goethals & G. H. L Sorensen (Eds. ), The quest for a general theory of leadership (pp. 188–204). Northampton, MA: Edward Elgar. Raiso H., & Lundström N. (2015). Real leaders embracing the paradigm of complexity. Emergence: Complexity and Organization, 2015 September 30, p 1- 6. Pearson, C. S. (Ed.). (2012). 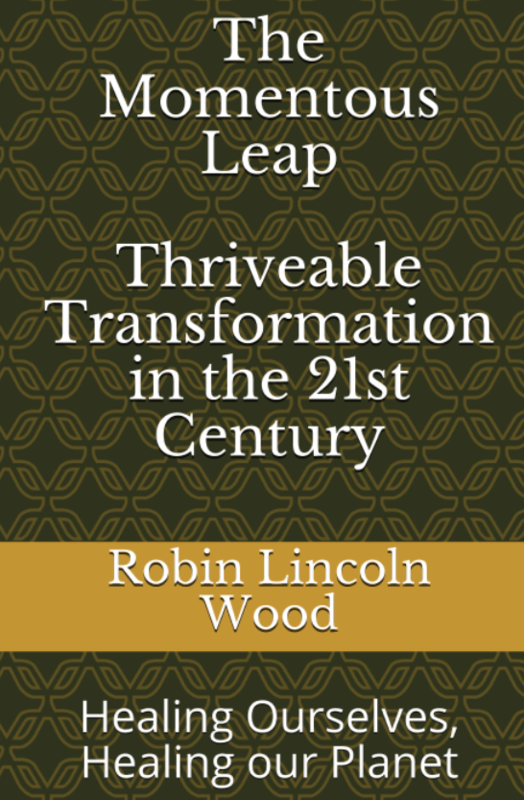 The transforming leader: New approaches to leadership for the twenty-first century. San Francisco, CA: Berret-Koehler Publishers Inc.
Plowman, D. A., Solansky, S., Beck, T. E., Baker, L., Kulkarni, M., & Travis, D. V. (2007). The role of leadership in emergent, self-organization. The Leadership Quarterly, 18(4), 341–356. Rohmann, C. (1999). A world of ideas: A dictionary of important theories, concepts, beliefs, and thinkers. New York, NJ: Ballantine Books. Robertson, R. (2011). The shadow’s gift; Find out who you really are. Lake Worth, Fl: Nicolas-Hays Inc.
Schyns, B., & Schilling, J. (2013). How bad are the effects of bad leaders? A meta-analysis of destructive leadership and its outcomes. The Leadership Quarterly, 24(1), 138–158. Schuon, F. (1984). The transcendent unity of religions. Wheaton, IL: Quest Books. Scouller, J. (2011). The three levels of leadership: How to develop your leadership presence, knowhow, and skills. Cirencester, Gloucestershire: Management Books 2000. Segers, J. H. G. (1977). Sociologische onderzoeksmethoden [Sociological research methods]. Amsterdam, Assen: Van Gorcum. Swanborn, P. G. (1981). Methoden van sociaal-wetenschappelijk onderzoek [Methods of social-scientific research]. Amsterdam, Meppel: Boom. 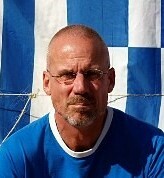 Volckmann, R. (2014). Generativity, transdisciplinarity, and integral leadership. World Futures: The Journal of New Paradigm Research, 70(3/4), 248–265. Wheatley, M. J. (2006). Leadership and the new sciences: Discovering order in a chaotic world. San Francisco, CA: Berret-Koehler Publishers Inc.
Yukl, G. (2010). Leadership in organizations. Upper Saddle River, NJ: Prentice Hall. Marshall, I., & Zohar, I., (1997). Who’s afraid of Schrödinger’s cat?. New York, NJ: William Morrow. Jaap Geerlof is PhD candidate and currently writing a dissertation at the California Institute of Integral Studies on leadership and the emergence of a new world order. He is the co-founder and former CEO of a Dutch policy research and consultancy company in The Netherlands. He has conducted research in many fields of social and economic policy, has been an advisor of alderman of many cities and of several ministries in the Netherlands and a co-creator of transformations in the Dutch public administration.